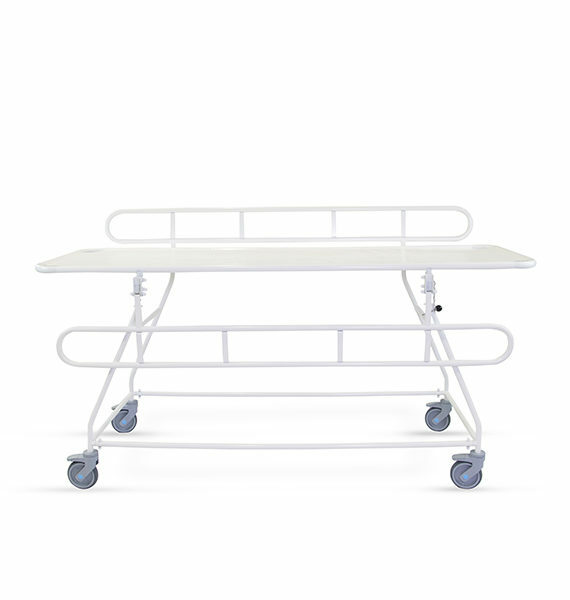 The Freeway Fixed Height Flat Bed Shower Trolley is our most cost-effective entry shower trolley, benefitting from top quality sealed bearing castors, and the option of cot sides either on long sides, or all around. 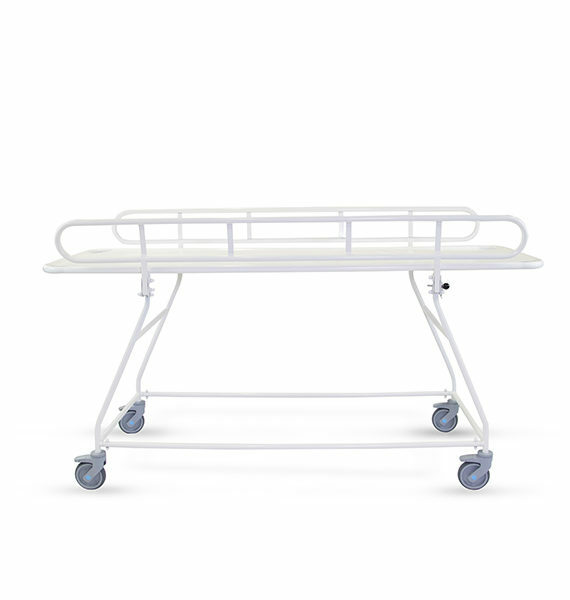 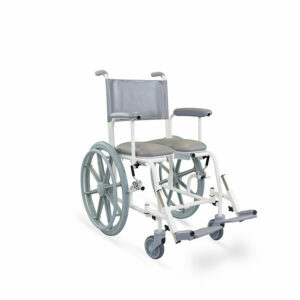 Fixed height trolleys have a bed height of 900mm, and are available in three sizes, from 1500mm, 1700mm and 1900mm. 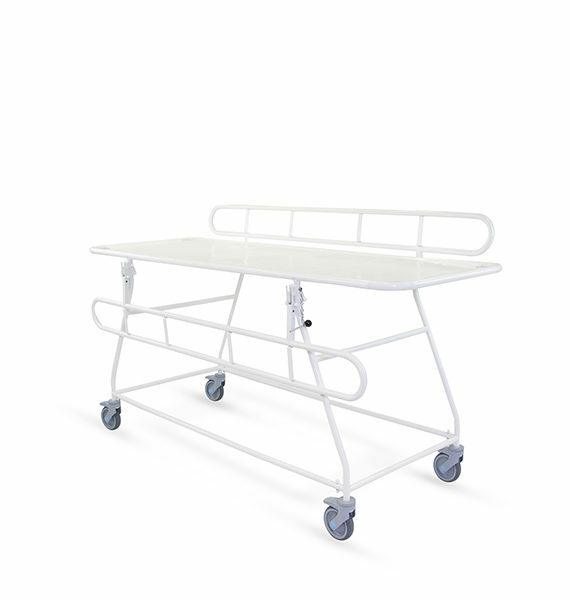 The protective coating of all our shower trolleys and stretchers includes Freecote® – our unique antimicrobial and antibacterial coating, which is resistant against the hospital super bug MRSA, e-coli, salmonella, and listeria. 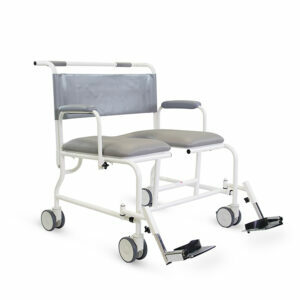 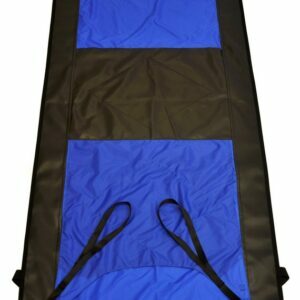 An option of cot sides either on long sides or all around. 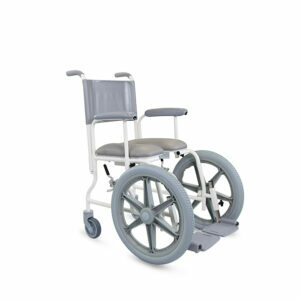 Available in three sizes, from 1500mm, 1700mm and 1900mm.